If you haven’t yet familiarised yourself with Victoria Kellaway and her blog Banana Skin Flip Flops, do yourself a favour and click here. Save the link, add it to your favourites, do whatever you need to do. I’ll give you a minute to get yourself sorted. I first came across Victoria’s blog pretty early on during my stint living in Colombia. She wrote about things that I could relate to: living in Chapinero, leaving everything behind to find her place in the world, falling in love with the hustle and history of Bogota, what it was like being a foreigner living in this unique part of the country. As an expat in Colombia myself, I had read other travel blogs before, but none captivated me quite like Vicki’s. She writes about her life in Bogota, but in such an insightful and ultimately very beautiful way, that I devour each and every one of her posts as soon as it hits my email inbox. So, it is with great pleasure (now that I have composed myself after a moment of fangirl excitement) that I introduce you to Victoria and invite you to take a look at Bogota through her eyes and experiences as an expat in Colombia. Country/city of origin: I’m from England, originally from Kent. 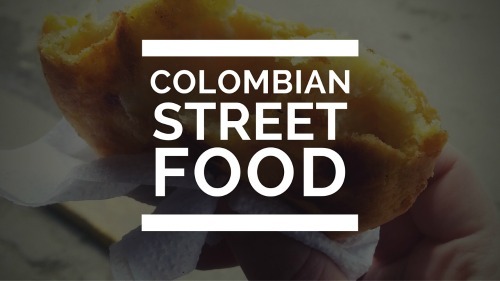 Where in Colombia do you live? Bogota. I’m a journalist and freelance writer. I spent six years working in newspapers in England, from London to Liverpool and realised I needed a break. I thought I’d stay in Bogota a few months to learn Spanish and salsa. That was five years ago. Haha, no, well, I didn’t want to come initially. I’d covered conflict and the cocaine trade from the English perspective and thought: “I’ve had enough of that.” A Colombian friend persuaded me I was wrong about the country, but I didn’t agree until I came to Bogota and fell in love with the place. It’s a vibrant, ever-changing city with a bright future. I love living here. It feels full of opportunity. You are a journalist, author and the award-winning blogger behind Banana Skin Flip Flops. What inspired you to create the blog? Newspaper writing is a strict discipline. You write to a template and I’d always struggled with that. I love writing and thought the blog would give me space to experiment without an editor peering over my shoulder. I couldn’t live without it now. I think of my blog as my own private writing space, which is a bit silly considering it’s had half a million readers. I’ve learned to let go of fear. In England I worried about everything. Here I feel free. That feels like success to me. Sometimes I write well, other times I make a hash of it, but in Bogota I’ve learned what really matters. In terms of material success, I’m proud the book I co-wrote, Colombia a comedy of errors, is a best-seller here. I never expected a book in English to be so successful. It’s easy really, friends are the only family most foreigners have here, so they are usually willing to have a cup of coffee with someone new. And I’ve found a lot of Colombians worry about people who are away from their families, so they’re keen to make sure you’re not alone too. It’s often more of a challenge ensuring you get time to yourself, than it is finding someone to share it with you. Don’t laugh, but the traffic actually does me a favour. I lecture a few hours a week at a university and I use public transport to get there and to move around the city. Sometimes I read, but often I stare out the window and construct my stories. I’ve never been inspired by a blank computer screen. I need to have a story written in my head first. The typing part is just a way to get it down on paper. All that “dead time” on our Transmilenio bus system is the most productive point of my day. I often feel a little disappointed when I arrive at my destination and have to interact with the world again. I used to be a typical foreigner and experiment with everything from fruit to peanut butter, but nowadays I like a chunky, home-made hogao sauce on a crispy, plain arepa with a scrape of butter. It takes a while to adapt to any new culture. I’m still super British about respecting queues, or lines. I can’t bear anyone cutting in front of me in the supermarket or in the bank. Apart from that, I’ve enjoyed a lot of the aspects of life here. I sometimes find people a little cold when I come home to England. A cashier once gave me a free coffee in a London coffee shop because he said I was the first person he’d seen smile all day. Maybe that’s because when I’m in London these days, I’m the one on holiday. Use every spare second to read and write. When you read, absorb everything, look at what the author has achieved and how they have achieved it. Of course, as a friend once said to me: “You can learn the wrong things you know.” I guess everyone has to decide for themselves which literature is worthy of study. As for writing, it’s all about practice. I write things all the time that go unpublished, but hard work never goes to waste. Practice, practice, practice. It’s the only way to find your voice. I rarely ask for feedback either. I’ve learned that writing is a matter of taste. If you read a lot, you’ll see the mistakes you’re making and learn to correct them. And as long as you enjoy reading what you have written, there will be others who feel the same. Do you have anything super exciting coming up? Yes. I co-edited a new essay collection, Was Gabo an Irishman? and there is always something exciting going on there, launches, signings and literary events, and next week I’m launching it at the Colombian Consulate in London. Now I have two books on the shelves about Colombia, I feel like I get to relax a little. My next book is going to be completely different and I’m already having a lot of fun with it. As long as I’m writing, I’m happy. Be sure to visit Victoria on Facebook and say Hola! banana skin flip flopsexpats in ColombiaWas Gabo an Irishman? Thanks so much for taking the time to comment Michele. I hope all is going well in Palmira Valle. How is Orion going? He is looking much better and I hope the leg is repairing well!